It's Pumpkin season! And while Linus is yet again waiting for the Great Pumpkin to come, Carowinds Park upped the ante with the return of their annual The Great Pumpkin Fest, with a little fun twist this year! Integration is the key word that prompted the little change this year. 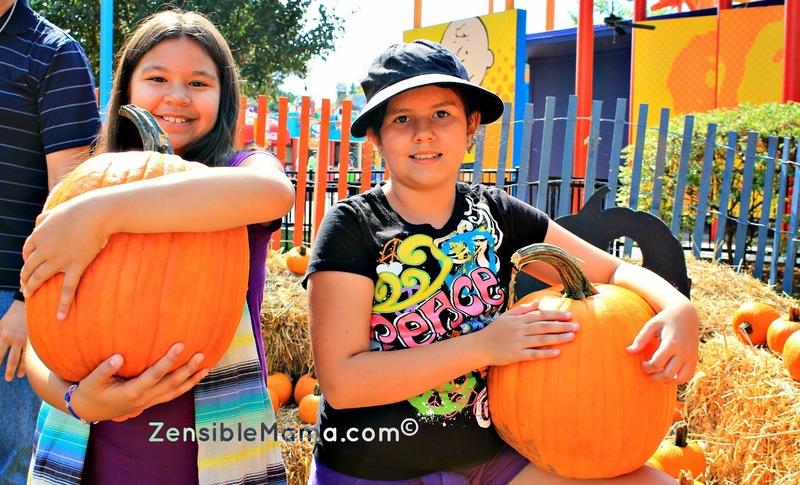 According to Julie Whitted, "We wanted every family with their small children to enjoy the whole park by giving them easy access to the other attractions we have and that is by incorporating the Great Pumpkin Fest inside the main park. 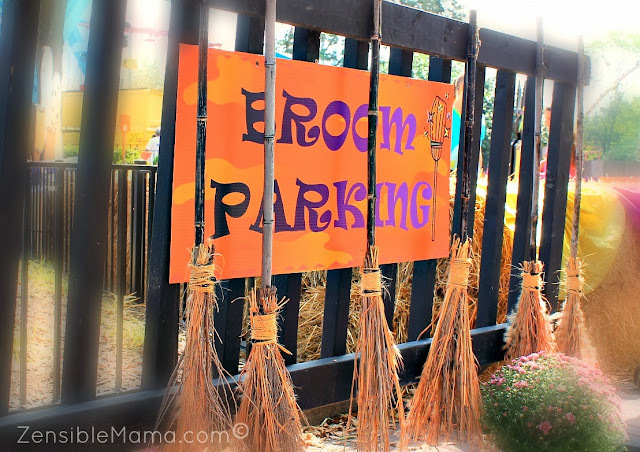 Especially with small children, it would be nice to not have to walk back and forth to the event's location then back to the main park again, just to enjoy the other rides inside the park." For those with Broom License only. Last year, the event was situated in one location a ways away from the main park. And though that was a great idea consolidating most of the event's attraction in one centralized location, it somehow isolated it and did not magnify much of the excitement since you have to get into the main park to partake in the other trimmings that the event offer. One that may have been a little cumbersome to smaller children with very short patience and have no motivation to walk a good amount of distance. 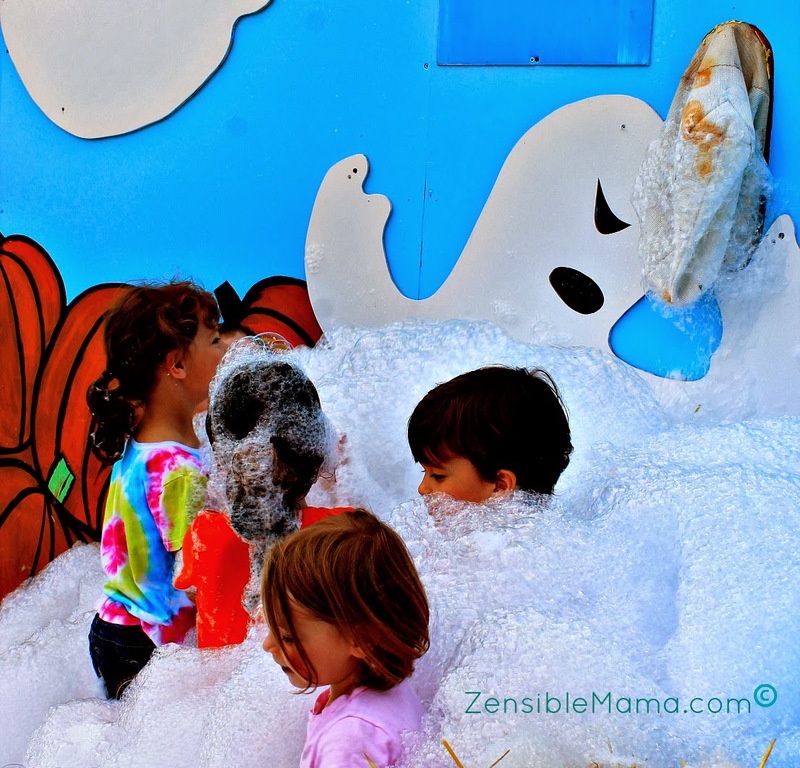 Or to air-dry your children before you let them dive into the Foam Zone again! There's a lot of options to be had. Mumpkin Patch - We always look forward to this. Though this year my daughter and my friends daughter got carried away and almost took home the biggest pumpkins in that patch! But the Patch Police intercepted their haul and told them "only mini ones please!" That saved me from being the pack mule! Hay Bale Maze - It is a lot more challenging this year which is great! Gave the children a sense of drive to figure out the right turns and twist to get their selves out of the maze. No one cried "I give up!" so that was good too. Peanuts Spooktacular - Always highly entertaining when you see Charlie Brown and his friends busting out a move to the sound of Thriller! Very interactive for the kids as well. Character Sighting - Charlie Brown and his friends all roam the park dressed in costume. That is always a sight to see. Picture taking is always encouraged and free likewise! Bubble Truck - This was a winner. Even kids once are all over it. Bubbles! It never grows old. Game Stations - Boredom buster. Who do not want to win a stuff toy? It was a treat! And there's so much more in store. The only way to understand the enjoyment is to experience it. Oh, come in your costume too to complete the fun! You'll fit perfectly right in. 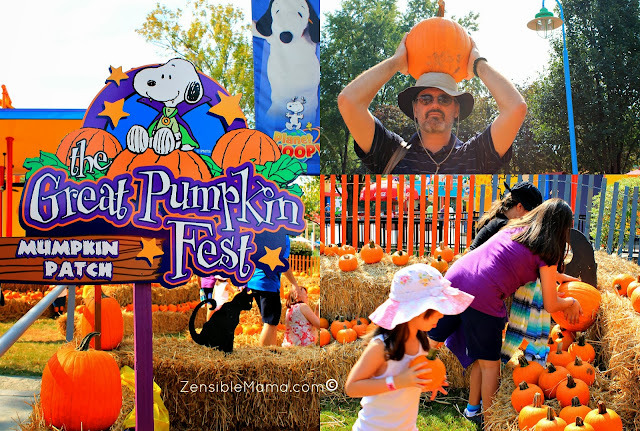 If you haven't yet, head on over to Carowinds Park and experience the Great Pumpkin Fest before the Great Pumpkin whisked it all away! Event runs from October 5-27th from 10am-5:30pm with daily trick-or-treating to be had! For more information on the Great Pumpkin Fest, visit Carowinds.com for full event details and ticket informations. Free to annual pass holders. ** Carowinds provided complimentary tickets to experience and review the event on opening day via their blogger day program. All opinions are ours unless otherwise stated.